Film Plot: A stern Russian woman sent to Paris on official business finds herself attracted to a man who represents everything she is supposed to detest. Framing: List prices are for posters only. Please inquire to discuss framing options. 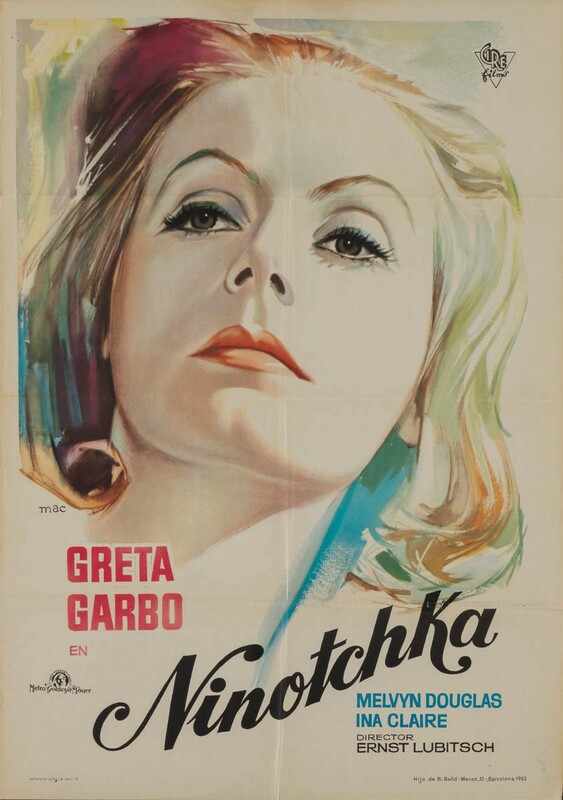 Greta Garbo was one of the biggest stars of silent cinema. However, despite masterful performances throughout the 30s in large budget sound films, a cynical and ageist Hollywood system ever clamoriing for the new thing would label her “box office poison” by 1938. 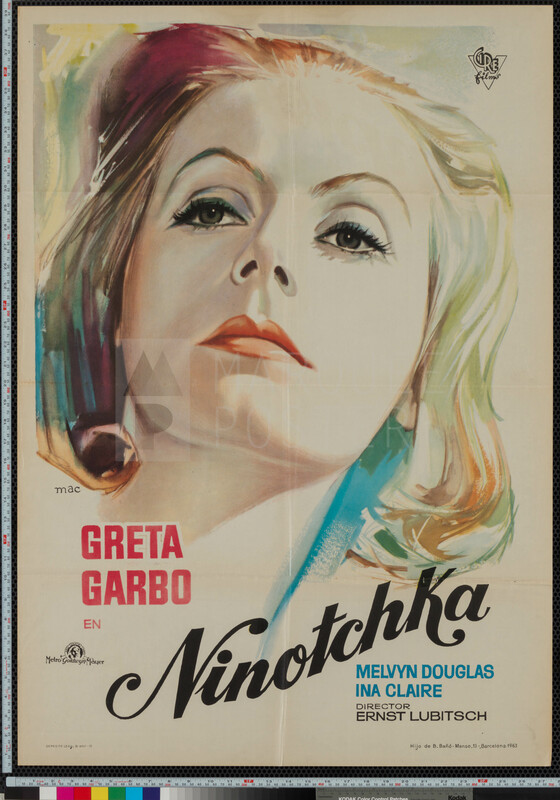 Garbo had a brief comeback with Ninotchka, giving a shining performance as a Russian diplomat in one of her first full-fledged comedies. Sadly her success was short-lived — the combination of Two-Faced Woman (1941) being labled a “box-office failure” and the onset of WWII, a time when many film projects dried up overnight, would derail her career for good. 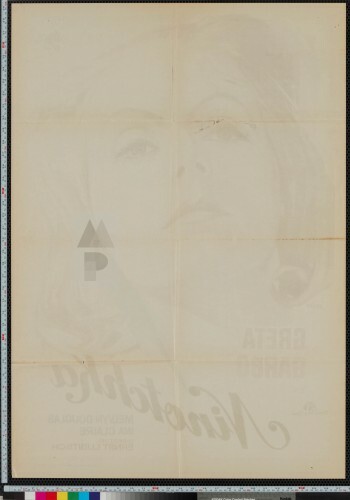 This gorgeous Spanish 1-sheet poster from “mac”, Macario Gómez Quibus, was created in the early 1960s as the importance of Garbo’s contribution to film history was being re-evaluated in newly emerging film studies programs and cinema clubs — as were many other silent screen legends like Swanson, Chaplin, Keaton, and Davis. Despite living almost 50 years after Two-Faced Woman she never made another film and passed away in 1990. Contact me with any questions about this poster.